I say “Shabbat,” You say “Shabbos…” But Let’s Not Call Anything Off! Have you ever wondered why so many Hebrew words are pronounced differently, and why so many Jewish things have two names? What’s a newcomer to do? Get used to it. Just as there are many answers to most questions, there is more than one way to say many words. Know that most of these come from the two pronunciations of Hebrew. The first word in each pair above is pronounced according to the Ashkenazi or Yiddish form from Eastern Europe. 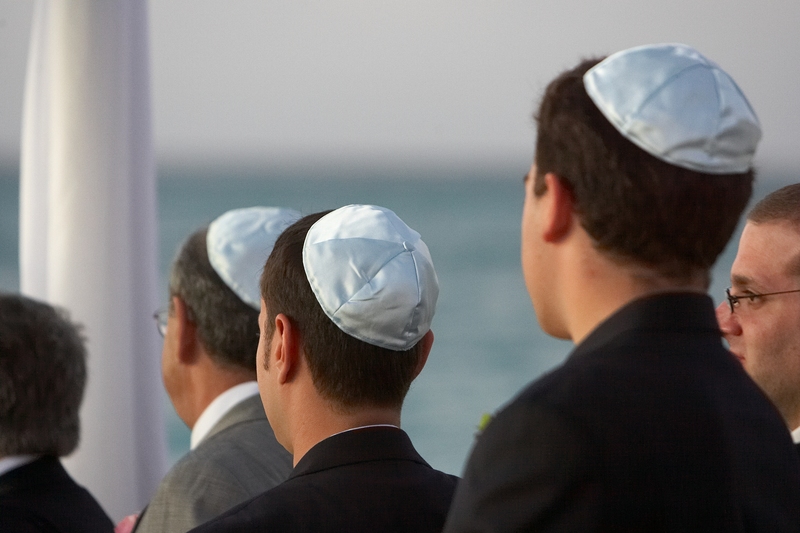 (Yarmulke is actually a Yiddish word.) The second word is pronounced according to the Sephardic pronunciation, as Hebrew is pronounced on the street in Israel today. Both are correct. While both are correct, it is a little mishuggeh [Yiddish for crazy] to mix the two (although trust me, you’ll hear it. “Shabbat Shalom! Will you be in town for the Yuntiff?” is mixed-up but you might hear it at synagogue. However, it is good manners and somewhat less mishuggeh to pick one language form and stick with it. In general, in the US you will hear the Ashkenazi pronunciation from older Jews. The Sephardic pronunciation has been on the rise in America since the founding of the State of Israel in 1948. For help with Jewish words new to you, check out the Jewish English Lexicon online. Jewish culture and language are a rich amalgam of Torah plus three millennia of survival. Enjoy! I prefer “Shabbos,” such as saying “Good shabbos.” That’s what I grew up hearing my grandparents say. Previous Previous post: My Child Wants a Bar or Bat Mitzvah – Now What? Next Next post: Why Bless?